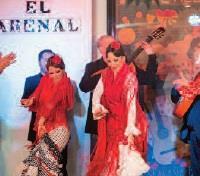 Enjoy a breathtaking evening of flamenco at Seville’s El Arenal. 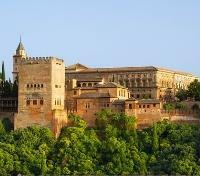 Explore the palace and gardens of Alhambra with private guide. 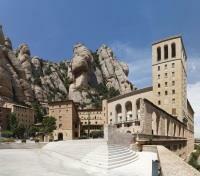 With private guide, see Gaudi's Parc Guell and Sagrada Familia in Barcelona. 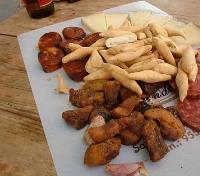 Set out on a private guided tapas tour in Madrid. From the epicenter of all things gastronomic in Barcelona to culturally rich Madrid and the historic legacies of Andalusia’s Granada, Córdoba, and Seville, this carefully curated sojourn immerses you in Spain at her finest. A porter holding a signboard with your name on it will be awaiting your arrival to the baggage claim area. They will transport your luggage outside the terminal, where you'll meet up with your private driver. 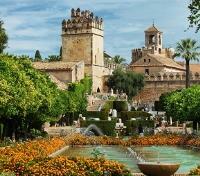 Meet your private guide and transportation, and embark on a full-day tour of Barcelona. 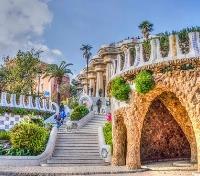 Learn about famed modernist architect Antoni Gaudí and his extraordinary achievements throughout the city along the way. Head along the elegant avenue Paseo de Gracia, one of Barcelona's most important shopping and business areas, where you'll find several of the city's most celebrated pieces of architecture, including two of Gaudi’s houses which you'll visit: Casa Batlló, and Casa Milà (known as La Pedrera). Casa Batlló is a surprising building with enigmatic forms, a colorful façade, and refined architectural details. La Pedrera is a sculptured residential building, and a fine example of how the wealthy lived at the beginning of the 20th century. From there, head to Gaudi's iconic Sagrada Familia, where you'll get to visit this UNESCO World Heritage Site, and monumental masterpiece of architecture - still under construction over 100 years after building commenced. One of Barcelona's must-see sites, it's the largest unfinished Roman Catholic church in the entire world, and its unique style is not to be missed. You'll then admire the 4th century Roman Walls and 13th century Cathedral of Barcelona's old Gothic Quarter, before continuing to the world famous tree-lined pedestrian avenue Las Ramblas, where you can watch Barcelona's bustling local culture come to life. 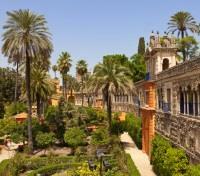 Round out your day with a visit to Parc Guell, in upper Barcelona, enjoying beautiful views out over the city. Built at the start of the 1900's, and though never fully completed before his death, it still remains one of Gaudi's most colorful and imaginative works, and one of the most impressive public parks in the world. Setting out on foot for three hours with a private guide, you'll visit the bars that are innovating and leaving a mark on Madrid’s tapas scene. 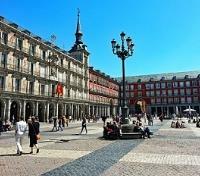 Whether it be through using new techniques, incorporating new or forgotten ingredients, or by taking inspiration in cuisines from around the world, the gastronomic culture in Spain, and Madrid, is always evolving. 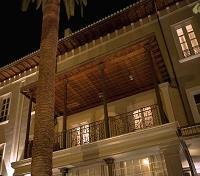 You'll visit three restaurants, and within each you'll be treated to a drink and tapas. The restaurants included in this tour are aiming for the unexpected; they are looking to surprise their guest by presenting a classical dish and putting their own twist to it. Dig in! 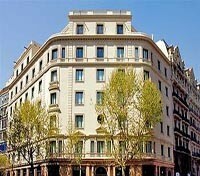 Built at the direction of King Alfonso XIII in 1912, the Westin Palace was recently restored to its original splendor. 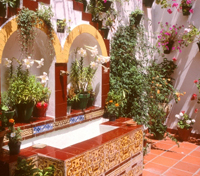 Set near the Prado, notable museums, and historic monuments, it was ranked as the #1 hotel in Spain in Condé Nast Traveler’s 2008 Gold List. 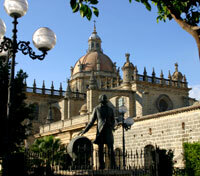 The magnificent building, highlighted by an enormous stained glass dome, has long been a center of Spanish society. Each of the beautiful guestrooms has been updated with all modern conveniences and is exquisitely decorated with antique furnishings and original mahogany and plaster details. The hotel’s amenities feature many restaurants, a newly renovated fitness center overlooking the city, and a wellbeing center. Spend a half-day venturing out to explore Toledo with a private driver and a local guide. 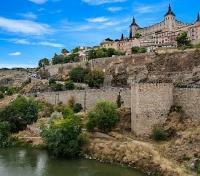 A UNESCO World Heritage Site, Toledo is Spain's medieval capital, and an area of inspiration for 16th-century master, El Greco. 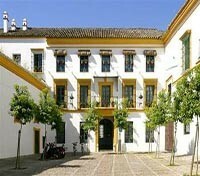 Surrounded by the River Tajo, the atmospheric walled town is crammed with churches, museums, and even steel workshops of master artisans, carrying on the tradition of the renowned swordsmiths of medieval Toledo. Upon meeting your local guide, take a walk into the past along the city’s cobblestone alleyways. Witness the 14th century Toledo Cathedral, a Gothic masterpiece, considered by some the magnum opus of Gothic style in Spain. 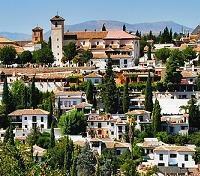 In the Jewish Quarter, you’ll see Europe’s oldest still-standing synagogue, the Santa Maria la Blanca Synagogue. Spot the imposing Alcazar of Toledo, a historic fortress with its strategic stance gazing out over Toledo to the River Tagus and lands beyond, and see the exterior of the medieval Castle of San Servando, former home to the Knights Templar. Depart from International Airport, flight not included. End of itinerary.